A root canal is a treatment sequence for the infected pulp of a tooth caused due to decaying. The reason of decay may be low calcium levels or poor oral hygiene. It is important to get the decaying tooth treated on time as delaying the treatment can result in infected gums and abscesses. The root canal procedure involves removal of pulp and nerve. During the treatment, the decayed tooth is cleaned and filled with artificial residue. Let’s look at the anatomy of the tooth to understand the treatment better. The tooth is covered with hard enamel layer known as dentin. Under this layer is a pulp, which is a soft tissue. Nerves and blood vessels make up the pulp of the tooth. Pulp helps in the growth and development of the tooth, but is no longer essential once the tooth is mature as it starts to take nourishment from the surrounding tissues. Following are the signs that point towards a damaged tooth that needs to be treated. If you experience any of these signs, then visit your dentist for examination before it turns into an infection. Pain is an obvious sign which indicates that there is something wrong with the tooth. However, if you experience severe pain while you chew or exert minimal pressure, you must not delay visiting a dentist for further examination. Sensitivity due to cold and hot drinks or food is a common issue and doesn’t necessarily mean that you require a root canal treatment. However, if the sensitivity pain stays for longer than usual, you may require root canal treatment. The affected tooth can also cause infection in the gums. 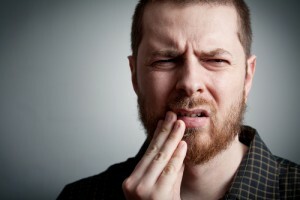 Remember, you may require a root canal if you feel soreness or inflammation on the gums surrounding the decaying tooth. Your dentist will examine the tooth closely and take an x-ray to determine the extent of the infection. Root canal procedure can be painful, thus in order to prevent pain, your dentist might give you a local anesthesia to make the affected area numb. To clean the pulp and the nerve of the tooth, the dentist will drill a hole in the tooth to make proper space for treatment. He will use special tools to remove the pulp and to make the tooth hollow. The hollow tooth will then be filled with an artificial tooth filling. After the filling, the tooth will be covered by a crown that is an artificial covering matching your natural tooth. The dentist will cover the tooth on the same day if they already created a customized crown for you. If this doesn’t happen, they will call you for another appointment to complete the crowning procedure. If you think you have a problem with a tooth, and aren’t sure, please give us a call to set up an appointment for use to help you. Call Angel Dental of El Monte at 626-444-2002 and we can exam your teeth and explain in further detail what you may or may not need. Try not to ignore dental pain due to budgetary constraints or time schedule as it’s better to take care of dental issues sooner rather than later.